I had to do errands Downeast this fall and made time to stake out a painting spot on the wharf in Corea. The tide here runs 10′ or more, so timing my visits for the same time of day (for the light) and tide was complicated but worth every minute staring at the fine print in the almanac. I hope to get here when there’s snow on the ground some day. 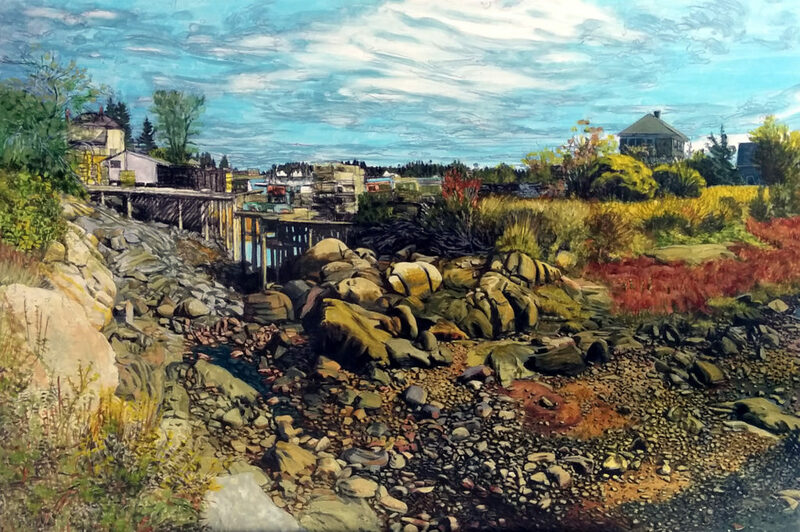 This entry was posted in art, landscape, Maine, painting, the neighborhood and tagged architectural landscape, landscape, ocean, painting on March 23, 2018 by APo.